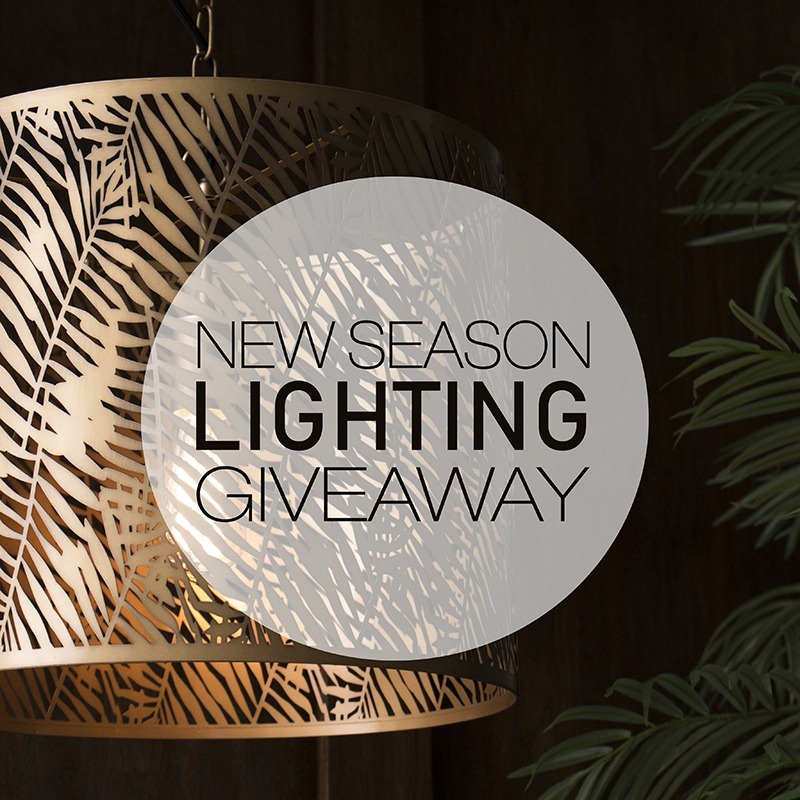 Win our Limited Edition Fern Ceiling Pendant- Competition now closed! As we are now entering the third week of 2019, what better time to potentially win yourself a brand-new Limited Edition light. For instance, something that will switch up the look of your home and give it a new lease of life. Therefore, maybe you know someone who is looking to change up their home. That would love to add a new fixture to their interior? 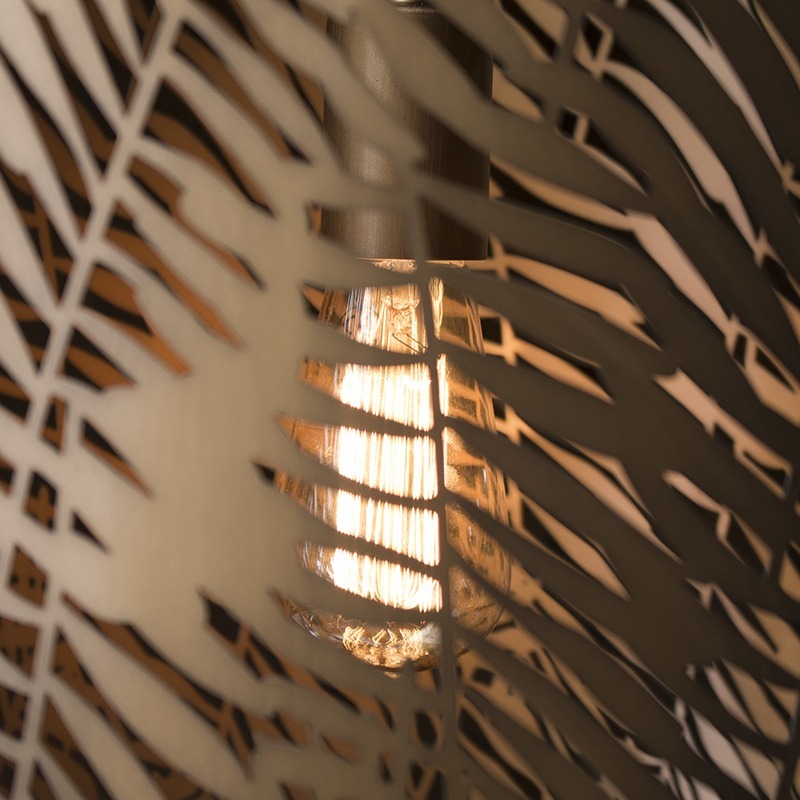 In addition, we are giving away this Limited Edition Fern Cut Out Ceiling Pendant in the rustic bronze finish to one lucky winner! Furthermore, this piece is bang on trend and will elevate your home in a simple yet extremely effective way. Also, perfect for industrial themed homes. 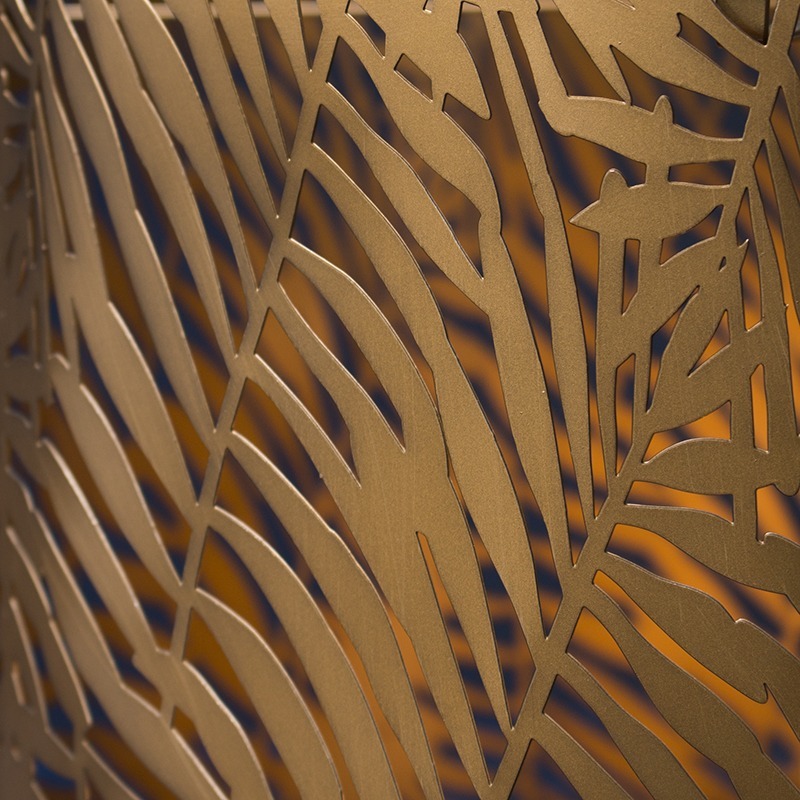 This beautiful light features a high quality cut out design in a brass finish, when lit this light projects a stunning fern design across the walls. Furthermore, this light will add a tranquil and natural ambience to any room from day through to evening. All you have to do is comment in the comments section below. This giveaway is available for UK entrants only. Comments made on our Facebook, Instagram and Twitter competition posts will also be taken into consideration. One winner will be chosen at random and announced on Monday 11th February. Good Luck guys! Scroll down to see this beauty in all it’s glory. This is bang on trend! Oh wow, this is beautiful! I’m moving home soon and would love to add this to my new place! Gabrielle. I’m goihgvyo be redecorating my bedroom this year and this would look amazing. This lamp shade would be a focal point and compliment our pine green curtains and cushions. I’d love this for my living room. I love this…..it would cast beautiful shadows. Love this! So stylish and would fit perfectly in my house! Would love this for my new house!! Beautiful pendant. Perfect for my snug room. Love this fabulous light! I’d be delighted to display this in my wee house. Liking the design and it looks nice and robust! 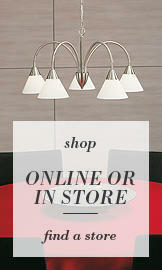 Love Litecraf’t’s Luxe lighting! Luscious! 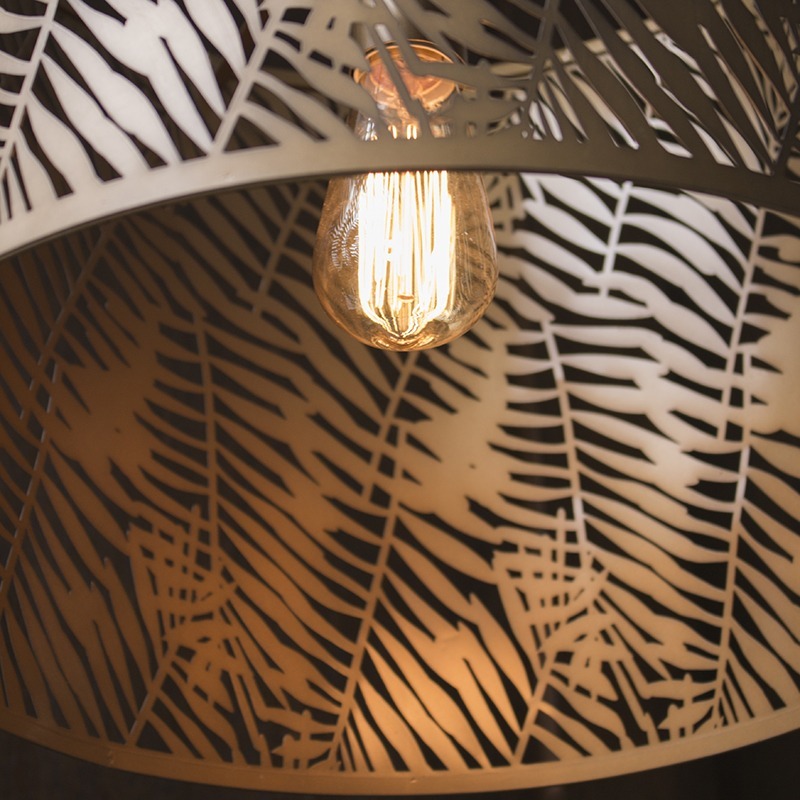 This lamp is ferntastic, so stylish. This would be ideal in my new home. It would be a great talking point. Perfect for our jungle wallpaper. Yes please. I’d love this… Its gorgeous! This is fab I’m decorating my bedroom and this would look amazing. I love this, it would make for a great focal point in any room! This would be a fitting compliment to our living room. Gosh it really is beautiful. This is so pretty, it looks like it would make gorgeous patterns on the ceiling. It would look captivating in my hallway! Just decorated the hall, stairs and landing and this light would compliment the pattern on the paper beautifully. It is really a stylish light fitting. The beautifully cut lines of this shade would create the most delightful of designs, adding atmosphere to my dining room. Definitely one I would love to have in situ. I am updating my Lounge with accessories in copper, gold and silver would look perfect to complement it all and of course its from Litecraft! What a beautiful lamp! It is stunning! Lovely light, would love to win it! It’s the precious,and I wants it! Looks beautiful and would fit in perfectly with my new house! What a fabulous giveaway. Thank you so much. Very nice, this would look nice with my copper clock. Thanks for giving me the opportunity to win this great prize. Mmmm! I really, really like this! So stylish, wow! It would look amazing in our sitting room! This would look amazing in our sitting room! Some stunning light fixings there. I would love to win this and would give it a good home. Love this it’s absolutely stunning. Very elegant. I know exactly where I’d love to put it. This would look stunning in my dining room! I’ve got a place for that!! A very elegant design and very unique.This would look lovely in any room with the fern design. This is stunning – would love to win it for my new home! Beautiful. Have several shadeless bulbs! This is so unusual yet so beautiful. This would look great in our hallway. We only have a bare lightbulb there at the moment. This looks fantastic, I have the perfect spot for one. Wow, this is so much my style! Love it! Bet it makes fab patterns on the wall too! I am hoping to move this year,nice new house and nice new start. And what would be better than having an exquisite lamp shade to brighten up my new sitting room in my new house. It would be a talking point with all my visitors. I love the design on this! Simply beautiful. This ceiling pendant light would look lovely in our dining room. really nice would be lovely in any room! This is absolutely beautiful! I would love to use this for the lamp in my living room reading corner! Very smart and up to date. Love it! Perfect for the garden room! Went in the Manchester store looking for some kitchen lights, spoilt for choice. Really lovely pendant, it would look fab in our lounge! Beautiful. This would look brilliant in my daughters sitting room. This is one beautiful light! I’m in the middle of decorating my hallway & this would finish it off perfectly! I love this! What a perfect shade for my hallway! This is lovely, the colour is fab and the style is really trendy! I love this light shade and the effect it gives! This would be perfect for my living room! Wow this is absolutely beautiful and such a statement piece. I’m in the process of re-decorating my living and dining room and this would be perfect for over my dining table – it would help give the room a massive change in look but also be the centre of attention I am sure! I absolutely love it’s almost tropical vibe and it would look amazing in my navy themed room! How lovely! It looks fab against the dark walls in the pic. Wow I love the cutaway design. Gold goes with so many colourways, it will look great as an addition to any room and either lit or not the shade will always stand out. This is stunning – makes me think of Pandora – the fabulous land in Avatar. What a beautiful ceiling pendant! Thank you for the opportunity! Wow ! That is nice ! This would look beautiful above my reading corner! Lovely giveaway, count me in thank-you. Really love that – so unusual. Gorgeous design would like great in any room! Wow! Stunning 🙂 this would look perfect in my hallway which has just been decorated! Fabulous prize! I can imagine this throwing out a gorgeous light and shadow. This looks stunning even when unlit. It would be great at the top of our stairs where there is nothing else to draw the eye. Very attractive. Would like this in my home. This would be perfect for my lounge! 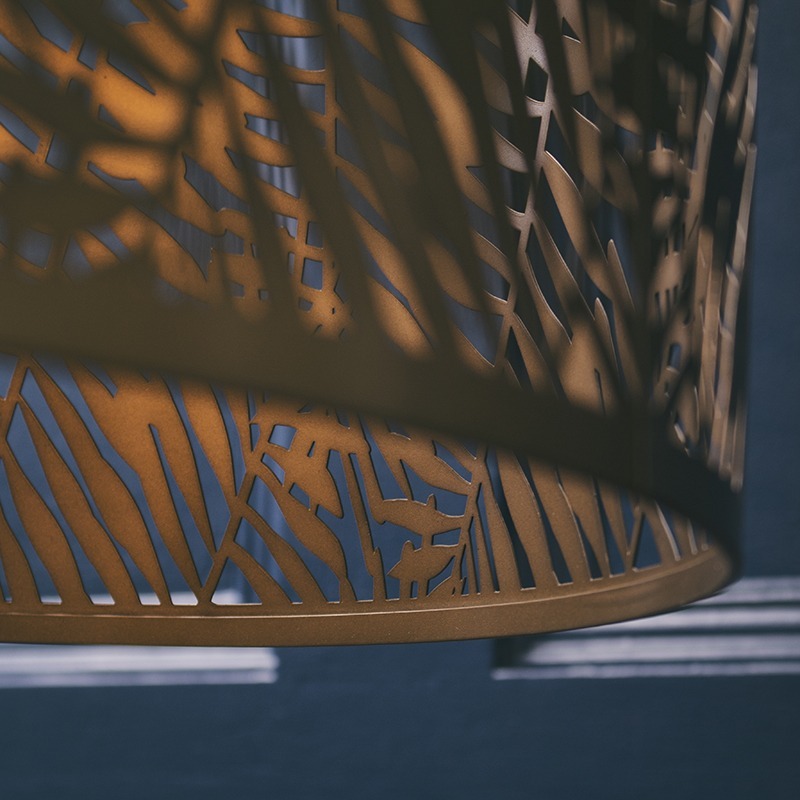 This is a beautiful design which lends itself perfectly to lighting. This would make a wonderful focal point in the room! This will diffuse beautiful patterns around the room. Lovely – count me in! It ‘s got a jungle theme to it – which is good! Match my ‘ jungle’ bedroom! Wow! We are currently working our way around our flat making a house a home and this would be perfect! This is absolutely stunning, would look amazing in my new dining room! This would look great in the extension we are planning on having done next year. Oh, I love it! It would fit right in with our decor too. My daughter is called Fern so I just had to enter, this pendent is so lovely! This would complete my lounge! Love this for our bedroom! 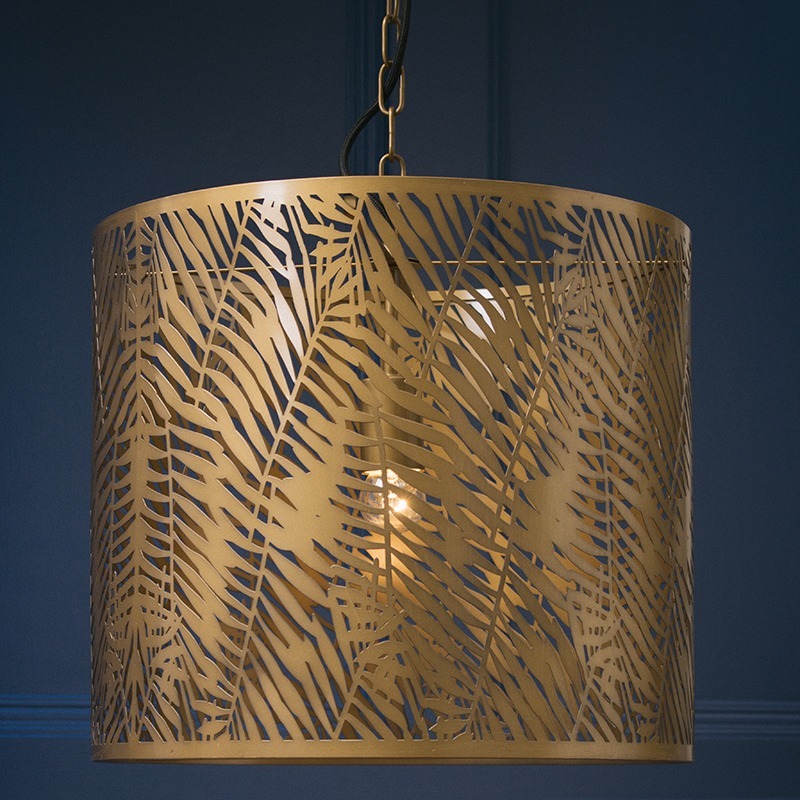 This would look incredible in our jungle inspired hallway, classy yet fun! Delightful, would match my fern blinds perfectly and look so chic. This looks so stylish, such a great addition to a room! Wow lovely. I’m hoping to move home soon so this would be ideal. Would look lovely in our new lounge. This just looks stylish. I love it. This would be so perfect for my new home. Love this. Gorgeous, would love this in my living room. So pretty. Would match my jungle cushions! OMG this would be perfect for my bedroom light! im plant mad and it would go with the decor so its a win win! This would be ideal for my living room. This is stunning! I’m about to repaint my bedroom and this would set it off beautifully! Beautiful! This would look perfect in my livingroom. Don’t think I would be able to stop admiring it! This is beautiful, currently redecorating and would take pride of place in my daughters bedroom. Rose gold and leaves is what little girls love!!!! Bring nature indoors – with style! This would be perfect in my new home!! This is gorgeous! My friend and I are moving into our own house in the Spring, so this would be perfect! This would look great in my newly decorated blush pink and grey bedroom! This is fab, really stylish! It’s a lovely Pendant and I know that I could put it to good use. Very 1970s club scene. Not sure it’s something I’d choose but I do like it. Beautiful. I’ve recently moved and have no shades at the moment, This looks stunning and definitely to my taste. A new light shade for a new house!! Gorgeous light would look amazing in my kitchen – fingers crossed! Gorgeous. I think this would go with any scheme. This is so stylish! I love it! wow I love this it’s so classy! Fab-u-lous!!! The finishing touch to my lounge. This is simply perfect for my living room. A very pleasing, natural design. This is just stunning & I would imagine the effect will be equally as beautiful. This would look fab in my living room! Works really well with the peacock blue paint – love it! This would look lovely in my bedroom. carry on up the jungle! 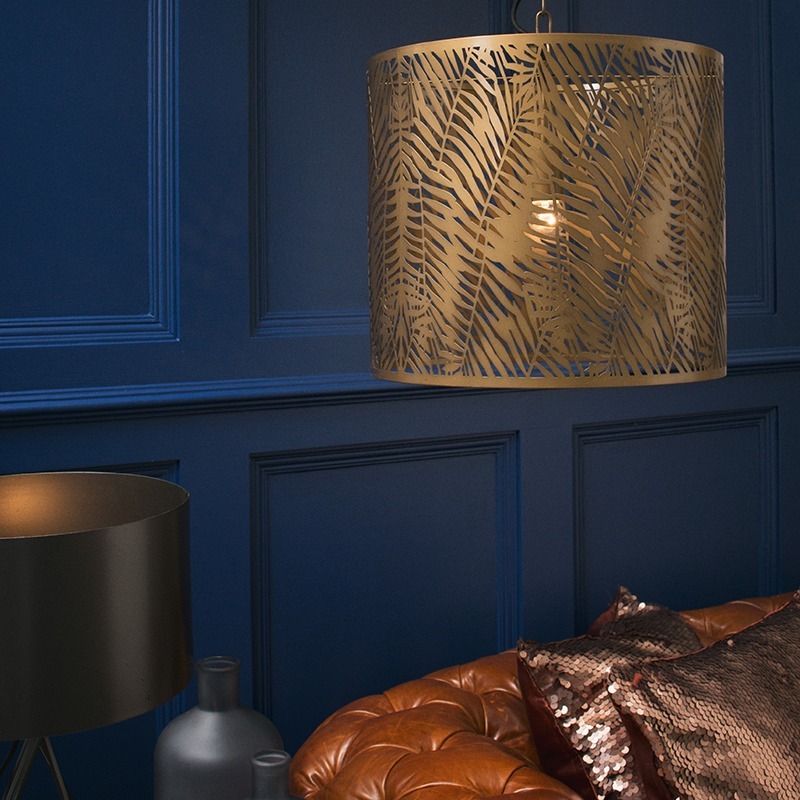 Wow – lovely golden stripy jungle light! How gorgeous is this! I love it. Just perfect to add style and wow! to my dining room, I would love to win this. Absolutely love this – I am really into plants! This is honestly the missing piece to my bedroom!!! I currently have a lantern there right now but the theme of my room is dusty pink, gold and ivy plants. I need this! Wow wow wow, this light is gorgeous, absolutely adore the colour! Nature – what a wonderful design. Who would have thought of it? Oh! I know!! I should imagine the light from that would be Enchanting ! This is lovely it would look perfect in my hallway. Lovely design, I feel a bedroom revamp coming on, perhaps a leafy glade! A really lovely modern take on a victorian feeling pattern. What a beautiful prize! I would love to win this for my sitting room. Its a Ferntastic prize that will enrich any room. This is beautiful, I’m crazy about anything fern! I have a place just waiting to display this beautiful shade. What a lovely shade, I have just the place to hang it! This would be a beautiful statement piece for my new lounge! This would light up life. Simply beautiful. Stunning- world look so good in my hallway! I absolutely love this 😍 I’m doing up my living room and this would look so good in it! I absolutely love this!! We moved into our new home two months ago and still can’t decide on lampshades!!! This is such a gorgeous ceiling lamp, would love to have this in our hallway so people see it as they walk in! Now that would make a statement to our new home ! Just what I’m looking for to go with my floral wallpaper – trying to create an indoor jungle. Beautiful! It would look gorgeous in my dining room. This is exactly what I’m looking for, for my new living room! This would look amazing in my hallway! Stunning! I’ll look fab in my living room! Gorgeous shade – would love to make my snobby neighbours jealous with this stylish little number! Makes me feel as if I’m in a tropical oasis! Love to give my room a focal point with this! It would give my tired decor an update! This is stunning, like a piece of artwork! I would hang this over my stairwell. I love the design of this. It is absolutely beautiful! What a lovely prize, would look great in my snug! I love the cut lines of this shade. This is exactly what I am looking for. Thanks for the opportunity. I really love this, would look gorgeous in my bedroom where i have had a bare bulb for over a year! I absolutely love it! Fantastic! Awesome, would love to own this to adorn my dining room ! This is stunning! A real showpiece to have in the home! Simple yet stylish……would look fab in our dining room. A talking piece! A Stunning light and colour- I was struggling with the colours for my lounge makeover- you have enLIGHTened me!!! This is so unusual, I love it. Never seen anything like it before. Would love to see the shadows this makes. I bet you can stare at them for hours. Oh my word.. Lighting for me is so much more than a lampshade, I LOVE lights that project shapes and anything cut out is out on top with me. Watching the different shapes projected on walls and ceilings adds to the ambience of a room. I feel excited at what this lampshade could look like illuminated. Please count me in, Id love this for my lounge. This is gorgeous! I’d love this to light up my lounge. I would love to win this for my bedroom. Currently planning on re-designing daughters bedroom, this would look great. So stylish and just perfect for my living room.. A lovely prize. Perfect pendant for above my new kitchen table ! This would be absolutely perfect for my lounge! This is absolutely stunning. I so want one of these in my life! A stunning shade which would reflect the ferns in our garden perfectly. I love beautiful intricate designs and this pendant is absolutely stunning, this would be perfect for our rather boring looking living area! Would totally take me out my comfort zone. Then I could decorate my hall around it. Only problem I need two. If I win I would have to buy another onebut needs must.